I can now see far more clearly a future in which humans and AI will work together, as a super team, says Sarah Golding. As social media is awash with pictures of children in oversized blazers, standing on their doorsteps, ready to return to school, I, too, have been back in learning mode. As I said when I launched my IPA presidential agenda, I intend not only to lead from the front but also to learn from the front about the impact that machines will have on our industry, for good and bad. So I might be an old dog, but over the past few months I have undoubtedly been taught a few new tricks. Let’s start with artificial intelligence. I have always seen this as a single "thing", essentially a very clever computer. But the more I have met experts, such as the team at AI agency Filament, the more I have learned that AI is a set of different methods and technologies grouped under a single banner. These technologies all have different strengths in how they mimic human cognitive functions. Some are ideal for answering customer questions, others stronger at predicting customer behaviours. What is true of all AI, however, is that it excels at the things humans are not very good at. Machines love pattern recognition and finding knowledge, while creative people bring common sense, emotions and imagination. So, I can now see far more clearly a future in which humans and AI will work together, as a super team. This view was further crystallised when we were lucky enough to have Or Shani address the IPA Council. Shani is the brains behind "Albert" – the first AI marketing platform, which has been revolutionising the online effectiveness of many brands, including Evisu and Harley-Davidson. Shani summed up his perspective with a simple phrase: "AI comes in peace." I couldn’t have put it better, so I’ll definitely be nicking it. And what about virtual reality? Well, this has really come to life for me now. I recently heard it described as the ultimate "empathy machine" and my own experiences up close with Oculus Rift confirmed this. It can generate an emotive response beyond even the most powerful film, and I cannot wait to see it in the hands of the best agency storytellers. However, that day may not come for many years. With the limitations of hardware size and costs holding back full VR, there’s a strong chance that augmented reality will be the next big thing. 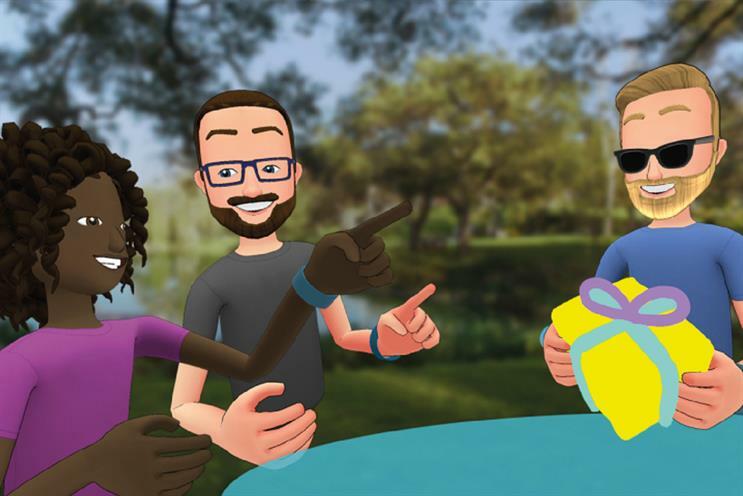 It seems Apple’s Tim Cook and Facebook’s Mark Zuckerberg are making that bet, too, as their first mass application of VR technology aims to improve the AR experience to more perfectly blend the real and artificial worlds. Again, the opportunities for creative minds are huge. And with the iPhone 8 in millions of people’s hands, the race will be on to see how brands can use it best. Beyond the tech and the kit, I have also learned a few macro lessons. The first is that as an industry we are more advanced than I initially thought. Compared with many other sectors, "createch" is significantly more innovative and embracing of new technologies. I have also ensured that the IPA is having a more positive influence. For example, our guides to how agencies and tech start-ups can work better together will help shape some game-changing collaborations. Meanwhile, the Computational Creativity inspiration session that Contagious ran for us in October opened our eyes to the magic we can all make working with the machines. But I have learned that we have got to be bolder and braver still. Alongside our partners, such as ISBA, we have to fight harder to protect our industry from the three-pronged challenge of ad verification: unreliable viewability figures, ad fraud and brand safety. We have already become far tougher when calling for the leading digital brands to address these issues and we will keep punching hard for our members and their clients. So, like another hard puncher, boxer Conor McGregor, I, too, believe that no-one ever loses – they either win or learn. And I have been winning and learning every single day of my presidency. We might not be TheNotoriousIPA yet, but we are well on our way.